As a rule, in local and global networks, files are transferred between devices using SMB, FTP or HTTP protocols. The problem of all these protocols is some troubles with resuming the download of the large files, which can become even worse if the network is slow or unreliable. Moreover, when copying files using these protocols, all the available bandwidth between a server and a recipient is used, which may negatively affect the network performance and the operation of other network apps (it is not always possible to configure correct QoS policies at the network equipment). In this article, we’ll consider how to use BITS protocol and PowerShell to copy large files over a slow or unstable network. How to Download a File over the BITS Protocol using PowerShell? 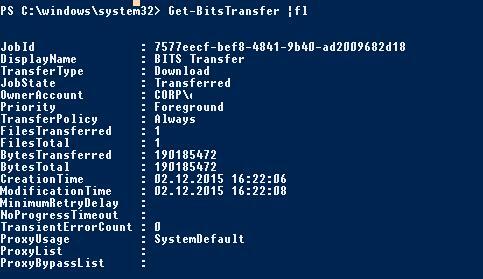 BITS (Background Intelligent Transfer service) is a Windows service used to transfer files between the systems. You can download and upload files using the BITS protocol. This protocol is used by computers when receiving files from servers when performing automatic Windows updates (including case when downloading updates from a WSUS server), when receiving programs from SCCM distribution points, etc. Note. The ability to resume file copying over the network is also available in the robocopy.exe utility, which allows you to resume downloading the file if the connection is lost. 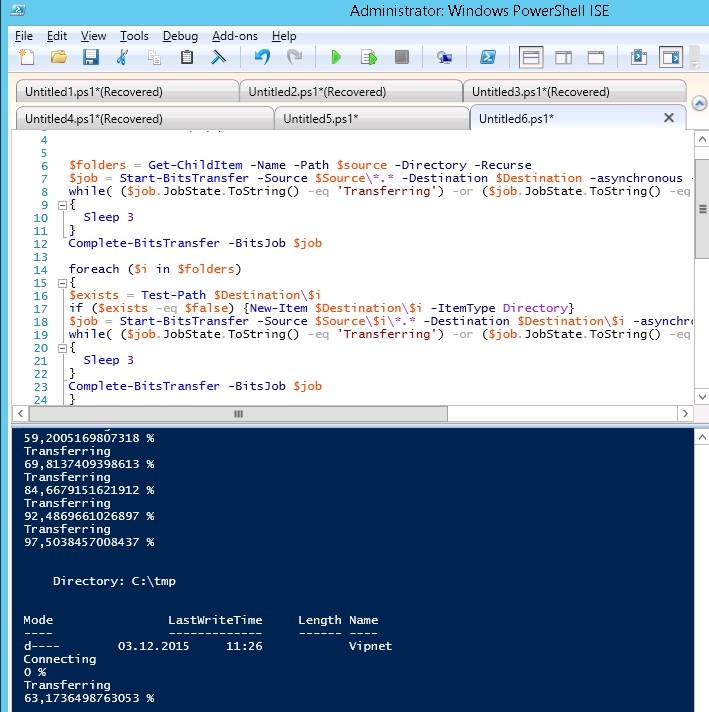 A deployed IIS server is not necessarily required on the BITS recipient and server side. Thus, BITS is the preferable protocol for transferring large files over slow and unstable networks (satellite channel, GPRS connection, etc.). BITS protocol appeared in Windows XP, in which bitsadmin.exe utility could be used to manage BITS tasks. The utility is still supported, but is deprecated. To manage BITS jobs, it is preferable to use special PowerShell cmdlets. 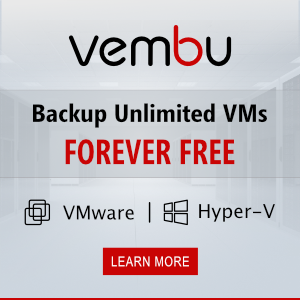 To work under this scenario, you need an OS not lower than Windows Vista or Windows Server 2008 and PowerShell 2.0 or newer. Modern versions of Windows 10 and Windows Server 2016/2012 R2 fully support BITS. Tip. It is possible to use Windows Server 2003 as well. In this case you will have to install KB 923845 update and PowerShell 2.0. BITS support is required on the side of both client and server. Suppose you want to download a large ISO file stored on IIS HTTP server (http://10.1.1.18/erd65_32.iso). It is assumed that anonymous access is allowed to this URL (later we’ll consider access to the URL with authentication). The message “This is a file transfer that uses the Background Intelligent Transfer service (BITS)” means that the specified file is being downloaded using BITS. In this case the cmdlet has started the download the ISO file in a synchronous mode. The download is similar to a usual process of file copying through File Explorer or using the Copy-Item cmdlet. A progress bar is displayed on the screen, which showing the download status. If a computer is restarted, the download won’t be resumed (you will need to download the entire file again). The command returns the transfer status (in this case the transfer is over: Transferred), the info about the number of bytes transferred, the total file size, the time the file has been created and the time the task is completed. The BITS download task is then considered as completed and being removed from the list of jobs. You cannot cancel BITS jobs running under System account (error 0x80070005 “Unable to cancel job”). To cancel such a task, you need to execute the Remove-BitsTransfer command under SYSTEM. With BITS, you can not only download a file from an HTTP server, but also upload it to a remote web server. To do this, the IIS web server with the Bits Server Extension component must be installed on the target server. 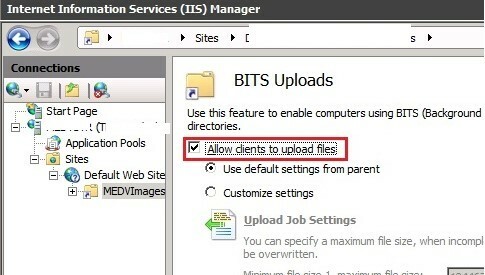 In the settings of the IIS virtual directory in the Bits Uploads section, you need to enable the “Allow clients to upload files” option. If you use anonymous authentication, you must allow anonymous users to write to the directory on the NTFS permissions level. If file uploads are performed under authorized users, they need to grant RW permissions to the upload folder. Please note that by default IIS allows you to upload files up to 30 MB. To allow uploading large files, you need to change the value in the maxAllowContentLength parameter in the web.config file. Thus, using BITS features is a great alternative to the common file copying over the network using SMB protocol. BITS file transfer task is performed despite of connection disruptions or computer restarts, and doesn’t occupy the bandwidth much without interfering with other apps. The BITS protocol can be the optimal solution for transferring large ISO image and virtual machine files (vmdk, vhdx) over a WAN network.